Sylvia Park Shopping Centre is the largest enclosed shopping centre in New Zealand, with over 200 stores, more than 90 Fashion options, over 30 dining choices, New Zealand's pre-eminent entertainment and leisure precinct, state of the art cinema complex and a full bus and rail service. Offering you MORE time to shop, Sylvia Park is now open until 7pm Saturday ¿ Wednesday, so you call in after work to do some shopping whilst the traffic simmers. Spoil a friend or loved one by treating them to a Sylvia Park gift card. These can be loaded with a nominated value from $10 to $1000, and they can even be topped up for future use. Parking is a breeze with over 4000 car parks available, or take the hassle out of getting here by using the train or bus. 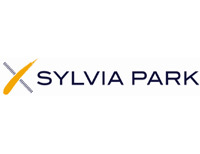 Visit our website or follow us on Facebook to learn more about the Sylvia Park experience and promotional information. We provide a high quality shopping center to the Auckland Area. Our team endeavors to constantly maintain an exceeding level of quality in all our services. To ask about our services call one of our friendly professionals today!